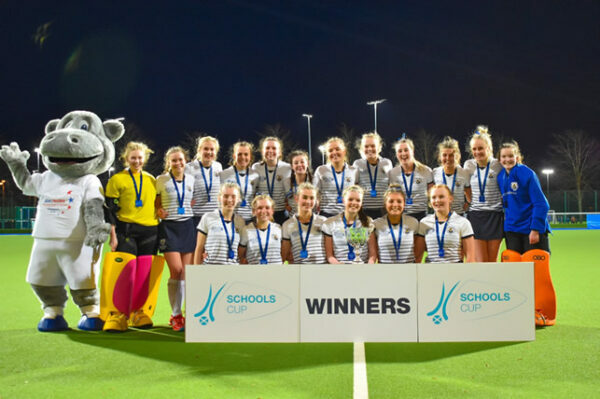 On Friday 15 March, Dollar Academy’s 1st XI Hockey Squad won the Scottish Cup final for a second consecutive year. The squad played against The Glasgow Academy in the Glasgow National Hockey Centre. The squad were thrilled to be back at the final for a second year running. The game proved very tight from the start and Dollar were under immense pressure in the first half. Lucy Smith tried for a goal before The Glasgow Academy’s goalkeeper performed a great save. During the second half however, Dollar gained more possession and after three consecutive short corners, Rhiannon Carr found the net to score. Dollar Academy are delighted to win the trophy for the second year in a row. Thank you to The Glasgow Academy for an excellent game.